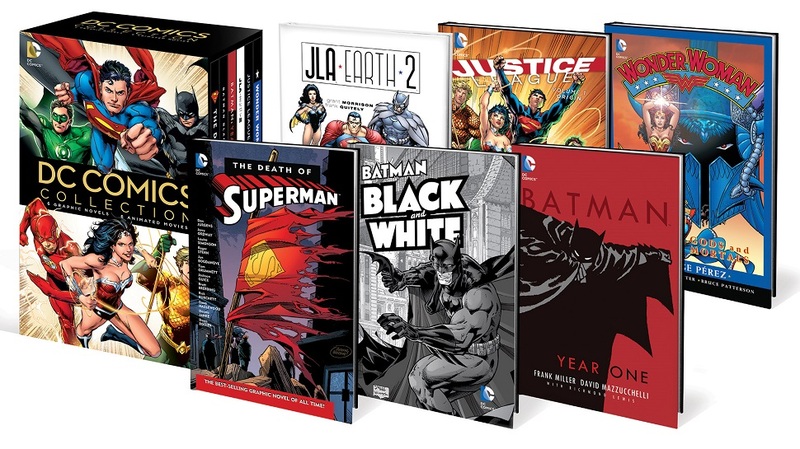 Back in May DC Comics announce they would be releasing Blu-ray / Graphic Novel Combo packs for some of the DC Comics Original Animated Films. Well this week they are finally available to buy. This sounded like an awesome deal to me as I love the DC Original Animated films in their own right and figured I could pick up any I don’t already own with the bonus of the graphic novel. Now that these combo packs are in the stores I’ve discovered they are actually a even better deal than I initially thought. Not only do you get the Blu-ray movie and hardback graphic novel but you also get a DVD copy of the movie, a ultraviolet HD digital copy of the movie, AND a HD digital copy of the Graphic Novel on Comixology. You get basically five things for the price of one. What makes this even sweeter is that this week they are all on sale at Best Buy and Amazon for 14.99 each! This is the best deal I’ve ever seen on any of these movies or graphic novels so if you are interested in either I suggest picking them up while they are still cheap. Hopefully this is just the first wave and we’ll be seeing some of the other movies turned into these sweet Graphic Novel / Blu-ray Combo packs as well.